I am one of those people who tries to do the things that I say I will do. On the larger scale, I announced during some high school class or another that I would be a lawyer, live in Ann Arbor and never have kids. Note that I got my law license in 1997 and practiced for 7 years, co-own a home in Kerrytown and there are no little squirts running around our domicile. 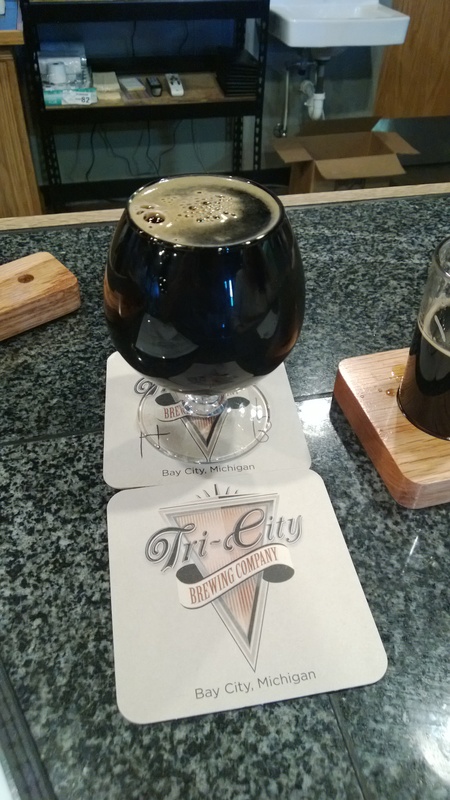 On the smaller scale, I have long been announcing to the world that I would visit Tri-City Brewing in Bay City. They are one of my first stops at every beer fest, I have enjoyed every single beer I’ve ever had and I even know one of the brewers! It took us a little while, but Boyfriend Ken and I finally made it up there last Friday! As soon as we walked in, we felt at home. The place just seemed to welcome us and we had excellent service the entire time we were there. We enjoyed a sampler and I could probably write about all of the beers but I will limit myself to my absolute favorite: the Dragon Slayer. This beer is a barrel aged (either bourbon or whiskey…I think our bartender said it was whiskey this time around) Russian Imperial Stout. I often forget how much I love this style of beer and I really shouldn’t do that. As you can tell from the word “imperial”, it definitely has some punch to it: it is 9% a.b.v. in its non-barrel aged incarnation (the Giant Slayer), 10.5% for this version. No matter what the a.b.v., it went down as smooth as a kitten’s belly (if one is in to drinking the belly of a kitten). It mixed just the right notes of roasted malt, chocolate and coffee and was very well balanced; to wit, Boyfriend Ken generally avoids any stout that mentions it has coffee in it but he loved this so much that he got his own glass of it. All told, the Dragon Slayer was like being wrapped in a warm blanket of malty goodness as you sipped your morning coffee and nibbled a dark chocolate bar. 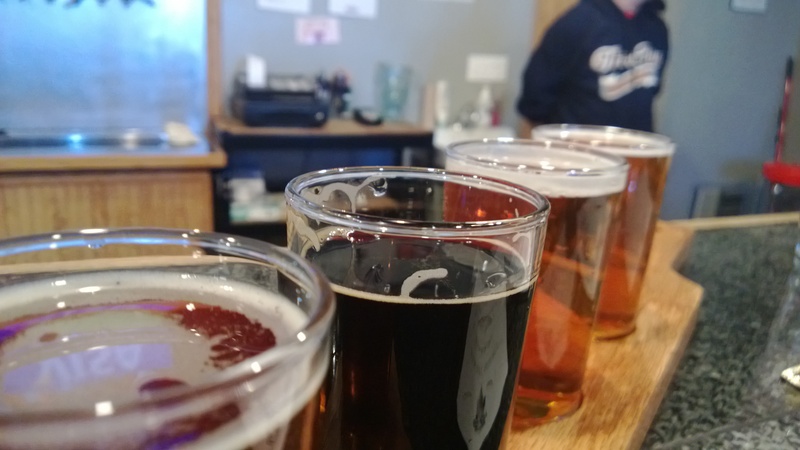 Make your resolution now to drive up to Bay City (a lovely town), be a woman/man of your word and pay a visit to Tri-City Brewing. Be sure to slay some dragons while you are there! Oh snap, pretty positive I would LOVE this beer. Will def stop here next time I make it up by the thumb. Bay City is lovely…I want to go back for a longer stay.